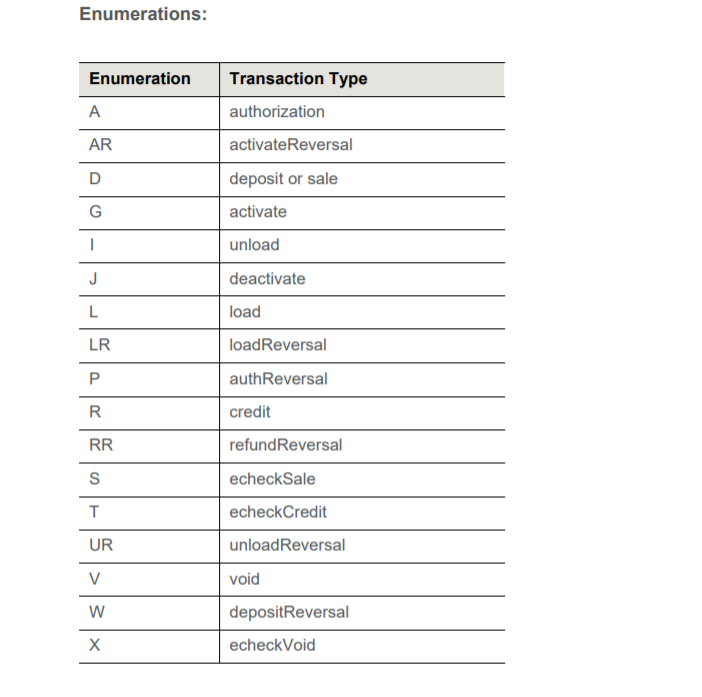 I need to use the Status Query Transaction to get information about an capture transaction, but I cannot find the value for origActionType in the documentation (eComm cnpAPI Reference Guide ). Whath transaction type I need to use? Is it possible to get this info with this method? A Capture transaction is a deposit, so use D. I will have capture added to the list to avoid confusion in the future.